NEW YORK, New York (WABC) -- The 14th running of the 2019 United Airlines NYC Half took more than 25,000 runners on a 13.1-mile park-to-park tour from Brooklyn to Manhattan. The race started in Prospect Park and passed through iconic New York City landmarks, including Grand Army Plaza, the United Nations, Grand Central Terminal and Times Square. Get your on demand look at runners crossing the finish line in Central Park. 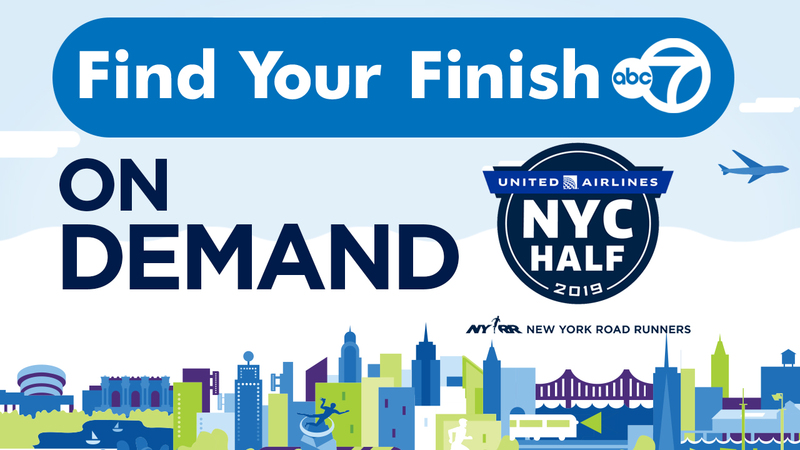 2019 NYC Half: Full Coverage - watch the race on demand, find your finish and more!